string(36) "The Accidental Death of an Anarchist"
Runtime: 1 hr 14 mins. Plot: The action begins, we are told, shortly after an actual series of co-ordinated bomb outrages in Milan and Rome on 12 December 1969, explosions that killed 16 and injured over 120 random victims in what became known as the Strategy of Tension. The subsequent police investigation into the ‘bombings’ (the latest in an ongoing series of alleged ‘anarchist-leftist’ attacks which began the previous year) was led by Chief Inspector Luigi Calabresi and his boss Chief Superintendent Antonio Allegra of Milan’s Special Branch (Questura). On the night of the explosion — and the following day — over 100 anarchists were arrested, 27 of whom were taken to San Vittorio prison, the rest being held for interrogation in Milan police headquarters in the Via Fatebenefratelli. Among those held were a number of members of the Anarchist Black Cross (CNA), an anarchist prisoner support organisation, including its secretary, Giuseppe Pinelli. Late in the evening of 15 December, after more than 48 hours in police custody, the 41-year-old railwayman was taken to Calabresi’s fourth floor office for questioning. Present in the room were six policemen: Calabresi himself, Vito Panessa, Giuseppe Caracuta, Carlo Mainardi, Pietro Mucilli and Carabinieri lieutenant Savino Lograno. Around midnight, Aldo Palumbo, a journalist with the Communist Party paper L’Unita, was having a smoke in the courtyard when he heard a series of thuds, the sound of something bouncing off the cornices as it fell from the fourth floor. 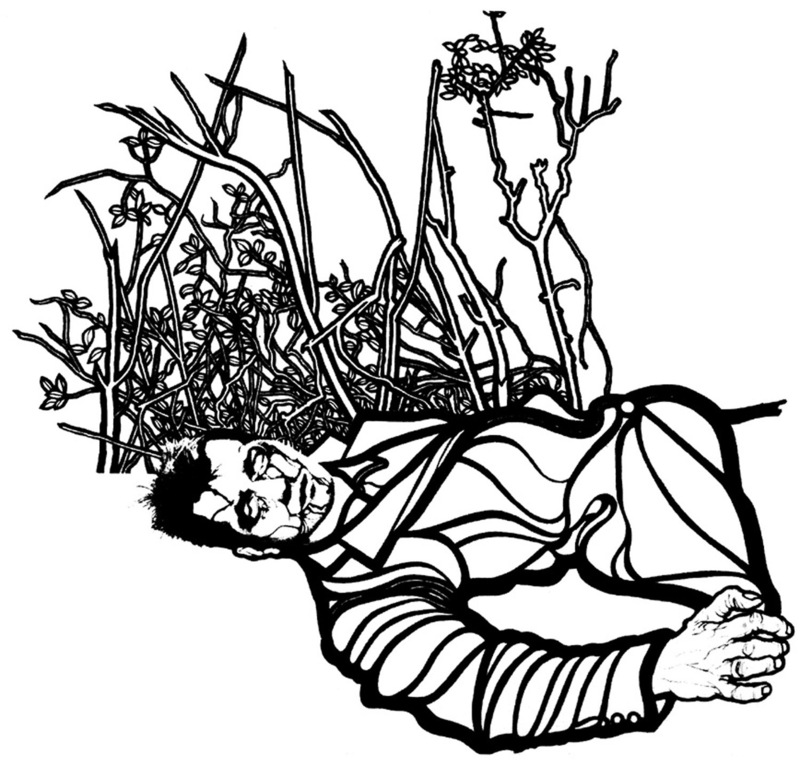 Running over he found the body of Pinelli sprawled in the flowerbed. According to the duty doctor Nazzareno Fiorenzano, he had suffered horrific abdominal injuries and a series of gashes on the head. The autopsy showed that he was either dead or unconscious before he hit the ground. A bruise very much like that from a karate blow was found on his neck. The Channel 4 farce opens in the ground-floor office of short-tempered CID Inspector Bertozzo (played by John Surman). Also in attendance is Bertozzo’s bumbling Sancho Panza-like Carabinieri constable played by Gavin Muir. Events gain momentum with the entrance of Bertozzo’s first case of the day, a character simply described by the play’s author Dario Fo as the Maniac. Played brilliantly by Gavin Richards, the Maniac has been arrested on charges of personation, but without any apparent attempt to cause harm or gain pecuniary advantage from this, the latest in a long history of seemingly psychotic masquerades. But far from being mad, the Maniac is the least mentally disturbed person in the building; he is, in fact, a one-man Greek chorus, an unpredictable situationist Till Eulenspiegel dedicated to exposing injustice and the political machinations of a corrupt state. By various wily strategems the mercurial Maniac acquires the case notes of the interrogation of the defenestrated anarchist in Bertozzo’s filing cabinet and, smartly dressed this time, appears, in Scene 2, in the fourth floor office of brutal Chief Inspector Pissani (Jim Bywater) a thinly veiled Luigi Calabresi, the senior officer present during the fatal interrogation. Passing himself off as the senior examining magistrate in the case, the suave, fast-talking Maniac soon enmeshes his superior, the Superintendent (an equally thinly disguised Chief Superintendent Antonio Allegra, played by Clive Russell) and another maladroit Carabinieri constable in his wild machinations to reconstruct — apparently for their benefit, to clear the police of culpability — the circumstances and chronology of events leading up to the death of the anarchist. The Maniac’s painstaking, relentless — and hilarious — Columbo-like cross-examination reduces the police officers to snivelling wrecks, finally eliciting the truth of what happened that night.